Heart Attack and Stroke: What are Your Real Risks? Heart disease and cancer are the two leading causes of death for adults who make it past the teen years. Heart disease includes problems with the heart muscle itself (weakness of pumping action, irregular rhythm, and “congestion” due to fluid retention). A leading cause of heart disease and stroke is atherosclerosis, or hardening of the arteries. (See page 37-38 in your Holistic health Handbook for a complete discussion of Atherosclerosis). For years, conventional medicine has focused on total cholesterol levels almost exclusively to tell us who is at risk for such disease, but cholesterol levels alone provide only a very limited answer to this question. A significant number of people suffer from cardiovascular disease who have never had a total cholesterol level above the “normal” range. (Desirable range is below 200). Clearly, other factors besides cholesterol play a role in the development of atherosclerosis. In spite of the fact that this information is well-known, I find that many doctors, including cardiologists, fail to give patients a comprehensive work-up to determine true risks. Just recently I talked with a patient who has had multiple angioplasty surgeries for blocked coronary arteries. The problem reoccurs within a matter of weeks. Her cholesterol is 150, which is low normal. Obviously, high cholesterol isn’t her problem. In spite of these facts, her doctors are encouraging her to go for a another worthless (in her case) angioplasty, and no doctor before me has mentioned to her that her high triglycerides and high red blood cell count are also risks, even though the results of her tests are plainly abnormal. Further, no one has performed a high speed C-RP (see below in this article), yet this number represent a bigger risk factor for heart disease than cholesterol. Bottom line? Don’t expect that your doctor, even if he/she is a cardiologist, is doing a thorough job or evaluating you for cardiovascular risk. Putting someone on a cholesterol-lowering drug seems to be a popular treatment today, even for people in whom such treatment is not indicated. In the mean time, we are overlooking other easily tested-for and easily treated risk factors. Are we playing the fiddle while Rome is on fire? See below for the complete details and tests to evaluate your heart health. Don’t let medical complacency and insurance/HMO cost-cutting put you at risk for heart disease and stroke. The following tests are each independent risk factors for cardiovascular (heart and blood vessel) disease. They are standard medical tests, well-proven, inexpensive. For a true look medical evaluation of your risks, these factors should be looked at as part of a comprehensive evaluation for cardiac/stroke risk. [NOTE: I do not routinely perform a homocysteine test in people with no other risk factors because this risk is reliably and predicatabley lowered by simply taking adequate doses of vitamin B6, B12, and folic acid, as in Maxi Multi or B complex. Other standard multiples often do not contain sufficient doses of these B vitamins to lower homocysteine]. IV.) “Other risks” as listed below. For those of you who take Maxi Multi as your vitamin/mineral supplement (for health’s sake, I wish this included everybody! ), please note that this formula contains the recommended, optimal doses of B complex vitamins & vitamin C & E. You do not need additional supplementation of these nutrients (unless you have a specific complaint to address) if you are taking this formula. “I’ve got you covered”! AND, I make changes to the formula to constantly reflect new findings in medicine, so your multiple will always be up-to-the-minute when it comes to formulation. 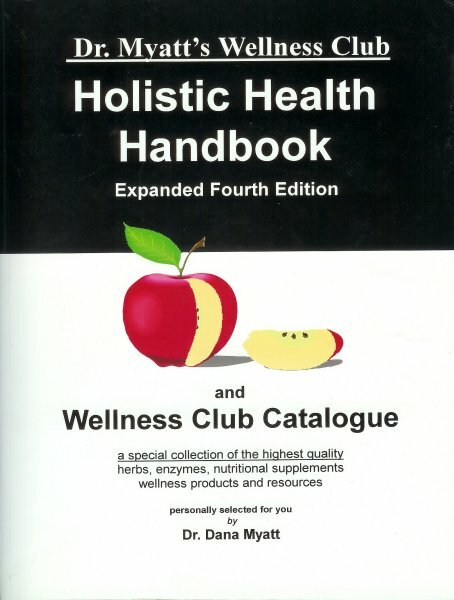 * See page 105-106 in your Holistic Health Handbook. C-Reactive Protein: First reported in the medical journals and reported to YOU from ME in 1998, this risk factor for heart disease and stroke risk is just now being reported by many other conventional and holistic medical journals and newsletters. C-Reactive Protein (C-RP) is a protein found in the blood. It is indicative of inflammation. A growing body of evidence shows that it is not just cholesterol that clogs arteries and cuts off blood flow to the heart and brain. Low-level inflammation in the body appears to be an even greater risk factor (see chart below). This low level of inflammation is so small that it doesn’t cause pain. (Ordinarily, inflammation makes itself known by pain, swelling, or redness of an area). Older C-RP tests are used to monitor certain autoimmune diseases, but the test is not sensitive enough to detect the small elevations of C-RP that lead to heart disease and stroke. Instead, the “new” test is highly sensitive (hence, the “hs”-C-RP designation). As you can see from the chart at right, elevations of C-RP are more predictive of heart attack and stroke than any other blood risk factor commonly evaluated for. Because of this, it may be more important to look at hs-C-RP than cholesterol. The test is inexpensive ($20-30) and my prediction is that it will become a routine part of cardiac risk testing, performed right along with the cholesterol profile, within the next several years. But don’t wait until your insurance pays for the test. Ask your doctor to order it next time you have a cholesterol check. Source:New England Journal of Medicine, 342:841, 2000, based on studies conducted by Dr. Paul Ridker at Bringham and Women’s Hospital. 1.) Overweight & obesity (associated with increased cholesterol, LDL, triglycerides and C-RP). 2.) Dehydration. Yes, a simple lack of water causes the blood to thicken, increasing risk. Drink water! 3.) Smoking: this is SO risky for the circulation that I refer readers to page 26 in the Holistic Health Handbook for a full disclosure. For high RBC and/or platelet count: be generous – donate blood! Phlebotomy (having blood drawn) is an easy way to decrease platelet and RBC count. You doctor can help you know how often to give blood based on your repeat Complete Blood Counts (“CBC,” a standard test that tells numbers of red and white cells, platelets, and how much iron the RBC’s contain. It is a very inexpensive and routine blood test and should probably be used more often than it is). For high iron: this one is tricky, because it depends on whether or not your body is using iron correctly. However, iron excess is far more common than iron deficiency in adults (women of menstrual age excepted). Be sure your supplements DO NOT contain iron unless you are told to take iron by a doctor. Your Maxi Multi does NOT contain iron for this very reason. To offset the effects of dietary fats: Fat in the diet (animal fat and vegetable Omega-6 fats; see page 16 in your Holistic Health Handbook) makes red blood cells stick together for hours after a meal is eaten. Vitamin C & E, taken with meals, “erases” this “sticky” effect and RBC’s behave as if no fats were eaten. That is why I recommend Maxi Multi (with optimal vitamin C & E doses), be taken with each meal instead of just once or twice per day! Conventional medical blood thinning is accomplished by coumadin compounds, which prevent platelet aggregation. This therapy is reserved for people with severe cardiac arrhythmias and other serious problems, because the blood-thinning effects of therapy can have serious consequences. (Coumadin is used as rat poison. The rats eat it, and bleed to death internally). There are some circumstances where this type of blood thinning may be advisable, but treatment must be carefully and frequently monitored by blood testing. Furthermore, coumadin therapy only prevents platelet aggregation. According to conventional medical sources (the Merck manual, 17th edition), only 1/3 of all causative agents of abnormal blood clotting are prevented by the administration of this drug. Bottom line: coumadin is useful in very limited circumstances and must be carefully monitored. So what is the “average Joe or Jane” (without a history of serious blood viscosity problems) supposed to do to help keep the blood flowing smoothly? Mother nature has given us a number of healthful choices. There are many herbs that act to normalize blood viscosity at different points. A combination of these herbs can actually have a broader “coverage” of clotting risk factors than coumadin alone. The difference is that the herbs are safer than coumadin, can be taken without medical supervision, and can be used in a preventive fashion. The only caution (and this is minor), is to tell your doctor that you are using these herbs IF you are on or going to begin coumadin therapy OR if you are scheduled for surgery. (Blood tests can and should be conducted before surgery to see how viscous your blood is anyway, so blood-thinning herbs aren’t “risky” as some conventional medical sources have portrayed). 1.) Garlic: decreases platelet aggregation, increases HDL cholesterol, decreases triglycerides and decreases fibrin. 2.) Ginkgo: prevents blood platelets from aggregating. 3.) Turmeric: Anti-inflammatory, so may lower C-RP. Turmeric also has other blood viscosity-normalizing effects that are beyond the scope of this article. (Please refer to page 89 in your Holistic Health Handbook for more information). 5.) Bilberry: decreases platelet aggregation in a manner similar to ginkgo. Also has potent antioxidant effects and strengthens blood vessel integrity, making it useful for varicose veins, capillary fragility and venous insufficiency. 6.) Grape seed Extract: potent antioxidant, decreases platelet aggregation. 7.) Green Tea:inhibits oxidation of LDL and prevents platelet aggregation. Other proven anti-clotting herbs include: ginger, gugulipid. I.) Vitamin C & E (with every meal; included in Maxi Multi or take separately. II.) B6, B12 and folic acid: daily. Included in Maxi Multior take separately as Multi B Complex. III.) Omega-3 fats: (found in fish and flax seed). Unlike other fats which cause red cells to “clump,” Omega-3 fats have an anti-inflammatory, anti-clotting action. (see page 16 in your Holistic Health Handbook or click here to learn more about Omega-3 Fatty acids). Best sources: eat fish (especially salmon) twice a week and take 2 teaspoons of flax seed meal daily (see page 119 in your Holistic Health Handbook). Wellness Club brand formula Maxi Greenscontains Bilberry, green tea, grape seed extract and bromelain, plus many other “green foods” and herbs, offering broad-spectrum coverage for blood viscosity. (Maxi Greens has many other health benefits besides this. Please see page 109-110 in your Holistic Health Handbook for complete information. CoQ10 is a powerful antioxidant and oxygenator made by the body. It is universally deficient in people with heart disease, high blood pressure, cardiac arrhythmias and cancer. The correlation between heart disease and CoQ10 is now so well known that even conventional cardiologists often recommend it to their patients. Further, cholesterol-lowering drugs deplete CoQ10. Although it is not known to specifically impact blood viscosity, it’s role in oxygenation of heart and muscle tissue is vitally important. ANYONE with ANY cardiac risk should be taking supplemental CoQ10. Supplemental CoQ10 is also necessary for anyone on a cholesterol-lowering drug. Please refer to page 111 in your Holistic Health Handbook for more information about this nutrient. Magnesium is a mineral which plays a key role in energy production. It is found in high concentrations in the brain, heart, liver and kidneys. It is also a crucial component of bone. According to the U.S. Surgeon General, magnesium is the most common nutrient deficiency in the American diet. That’s unfortunate, because without sufficient magnesium, the heart fails to beat correctly. in fact, magnesium is rightly known as “Nature’s calcium channel blocker.” Deficiencies of this mineral can lead to heart arrhythmia, high blood pressure, low HDL cholesterol, cardiomyopathy and acute MI (heart attack). [NOTE: magnesium is used IV in emergency cardiac medicine in many European countries, but not here]. Like CoQ10, magnesium supplementation is extremely safe and vitally important for heart health. (Maxi Multi contains a generous 500mg per day). See page 14 in your Handbook. 1.) Maxi Multi: 3 caps, 3 times per day supplies optimal, “heart-protective” doses of Vitamins C & E, B complex (including target doses of B6, B12, and folic acid), and magnesium. 1.) Maxi Multi: as above. 2.) CoQ10: 100-400mg daily (see page 111 & 117) in your Holistic Health Handbook). I.) For normalizing blood viscosity: Bromelain and/or Maxi Greens and/or any of the herbs listed in this article. II.) For decreasing cholesterol: Niacin or Red Rice Yeast or both (they can be taken together if needed for resistant cases). III.) For high blood pressure: additional magnesium to total 800-1,000mg daily.